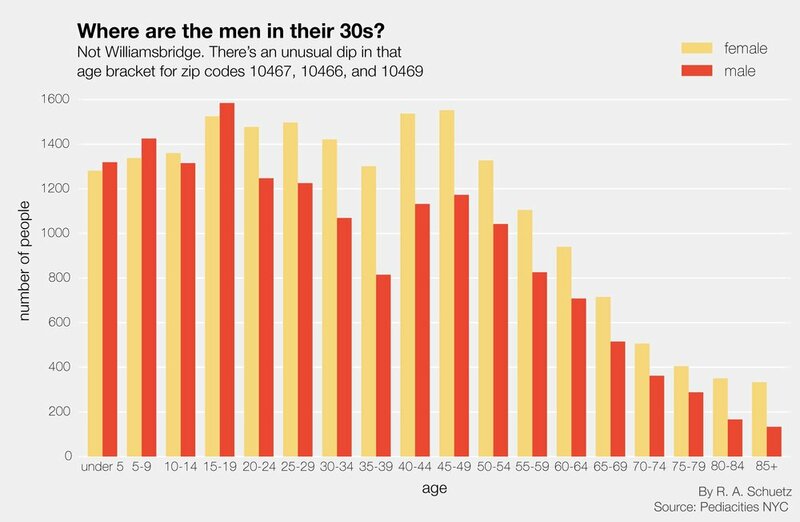 Where Are the Men in Their Thirties? At the corner of 229th and Laconia Streets in the Bronx, the police precinct office faces a cluster of buildings mostly three-stories tall known as the Edenwald Houses. The Edenwald Houses, along with the nearby Eastchester Gardens, were the target this past April of what the U.S. Attorney trumpeted as the “largest gang takedown in New York City history.” One hundred and thirteen people were indicted, mostly young men in their twenties. Which is a worrying figure, given that the number of young men living in the area was already disproportionately low. According to Census data, for every two male teenagers in the area, there is only one man in his late thirties. The problem is a stark example of a trend taking place throughout the Bronx, where for every three male teenagers, there are two men in their late thirties. Throughout the decades, Billboard has been keeping score on the hits. So what types of music tend to take over the airwaves? It depends on the year. Note: If a song could be considered part of two genres, such as Maroon 5's "Harder to Breathe" (pop and rock), it shows up here as both. And just as some songs are crossovers between genres, some songs fall into more than one subgenre. Take Drake for example: Pop rap? Indie r&b? Spotify argues he's both, and so he appears in both graphs here. However, in the graph above, even though "Hotline Bling" may be two flavors of r&b/hip hop, it's only counted once for the overall category. On his Twitter page, homebot's got fresh cyphers daily, using TextBlob to remix lyrics Drake has used in the past.